If you're looking for an excellent mid season or June bearing strawberry plant, then look no further than the Darselect Strawberry. The Darselect is rated as a large berry that is firm with excellent flavor and has good freezing quality. 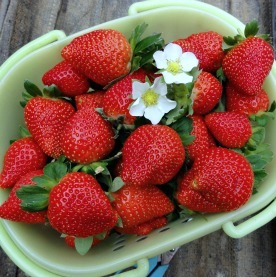 You will enjoy large sweet strawberries from this variety. As with other strawberry plants, pinch bloom buds off your Darselect strawberry plants during the first growing season to increase the plant's size so it will be stronger for heavy bearing the second growing season. Darselect Strawberry plants require good amounts of nitrogen and regular amounts of magnesium and potassium during fruit growth for better performance. For planting strawberry plants, we recommended soil pH level of 6.5 to 6.8. Progagation of this variety is prohibited due to patent laws. Booking for December through Spring shipping. Strawberry plants ship in bundles of 25 plants.